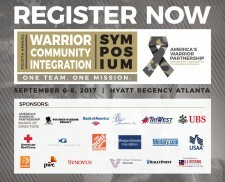 Washington, D.C., July 27, 2017	(Newswire.com) - America’s Warrior Partnership has released the agenda for its Fourth Annual Warrior Community Integration Symposium, a gathering of veteran service organizations (VSOs) and veteran-centered professionals from across the nation to share best practices and discuss key issues affecting warriors in their communities. 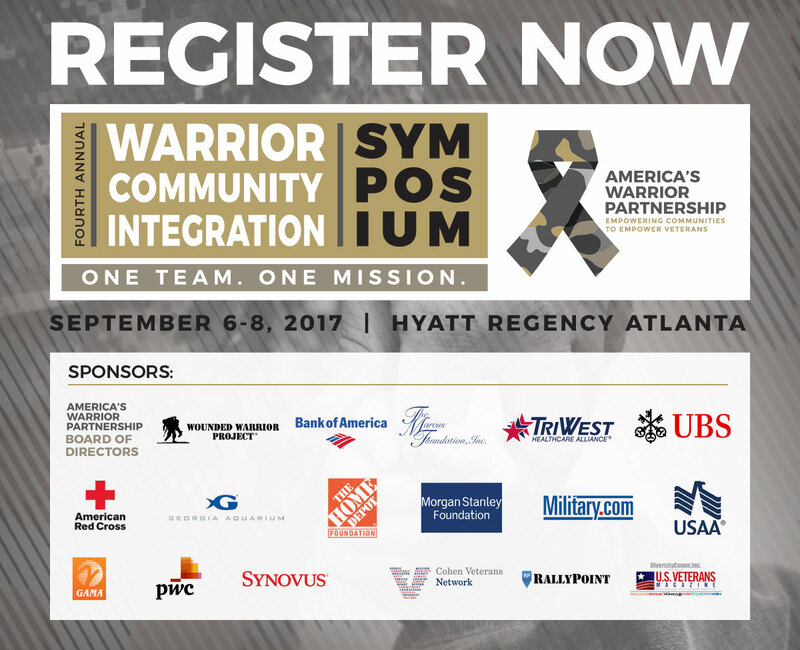 The symposium will take place Sep. 6 – 8, 2017, at the Hyatt Regency Atlanta. The 2017 agenda will include high-profile keynote speakers, including veterans themselves as well as champions of veteran services, general presentations and breakout sessions on a range of topics that will inform attendees on how they can best meet the needs of veterans in their communities. 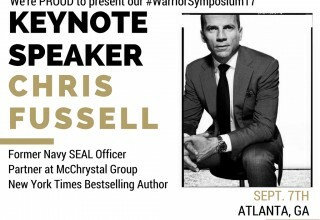 The keynote presentation will be provided by Chris Fussell, former Navy SEAL officer and current Partner at McChrystal Group, a leadership, and management consulting firm. Networking will continue to be a central focus of the Warrior Community Integration Symposium as the event kicks off on Sep. 6 with VetConnect, a free, one-day event for active-duty military, veterans and their families to meet each other and attend panels discussing employment opportunities, interview techniques, job search advice and more. In addition, the symposium exhibit hall will feature highlight programs, services and products that increase the opportunity to impact the lives of veterans. America’s Warrior Partnership will also host a luncheon during the symposium to honor the recipient of the third-annual Leo Thorsness Leadership Award, which recognizes an individual who has shown outstanding leadership in their service to veterans. The award is named for Leo Thorsness, a prisoner of war at the Hanoi Hilton in Vietnam and Medal of Honor recipient who served as a member of the America’s Warrior Partnership Board of Directors before passing away in 2017. 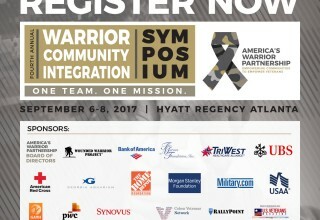 To register for the Fourth Annual Warrior Community Integration Symposium and learn more about the event’s agenda and speakers, please visit http://americaswarriorpartnership.org/symposium/2017-symposium/. America’s Warrior Partnership is committed to empowering communities to empower veterans. We fill the gaps that exist between current veteran service organizations by helping nonprofits connect with the veterans, military members and, families in need: bolstering their efficacy, improving their results and empowering their initiatives. America’s Warrior Partnership is a force multiplier for warrior community integration that enhances communities where great Americans choose to live and contribute. For more information on the organization and how to get involved, visit AmericasWarriorPartnership.org .